Building Blocks is a three-dimensional puzzle and play system that can take on a virtually limitless array of shapes and forms. An inventory of finished goods is available upon request. 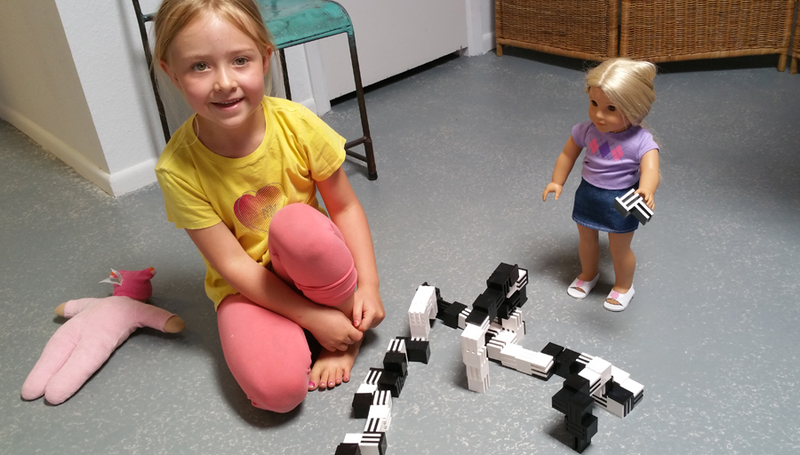 Teaches students and children about spatial relationships in a fun and interesting way. Offers limitless structural configurations, for endless hours of entertainment. Stimulates and keeps the mind active. Allows the user to develop their own shapes and forms. Scales to any size to allow for application at any level. Most puzzles follow a familiar formula. Pieces are laid out on a table and assembled in a two-dimensional pattern until an image is formed. There is only one correct solution to the puzzle, which means the pieces can only be put together in one way. There is no room for the user to improvise and come up with their own design on a two-dimensional scale, let alone a three-dimensional scale. 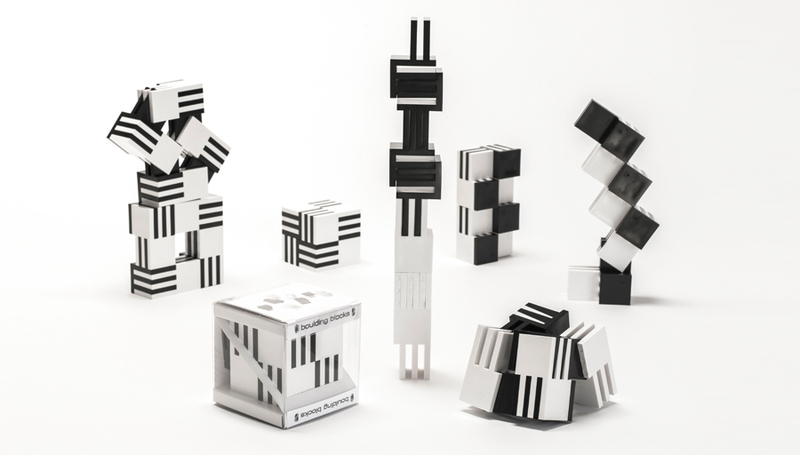 Building Blocks is a three-dimensional puzzle that can take on any shape and size. 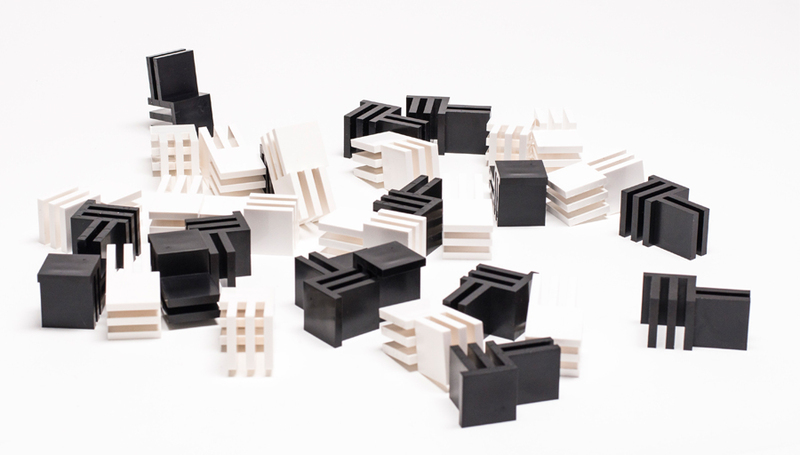 This innovative product comprises black and white ABS plastic puzzle pieces. 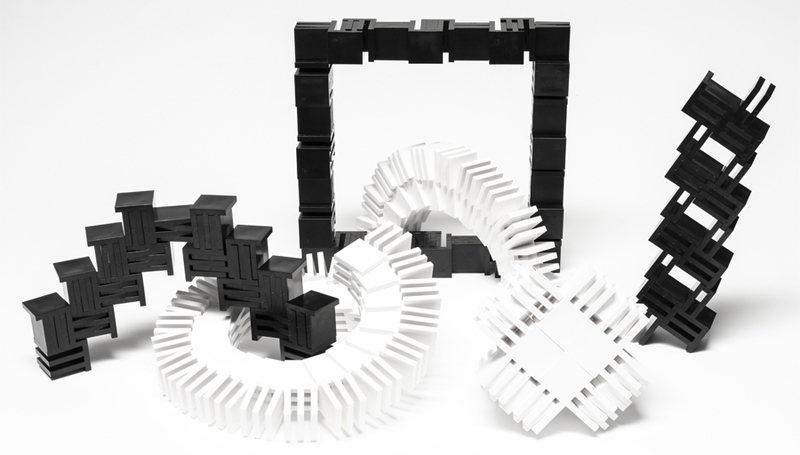 The individual pieces are comprised of equal parts solid and empty space, and four black pieces or four white pieces can be put together to form a cube. 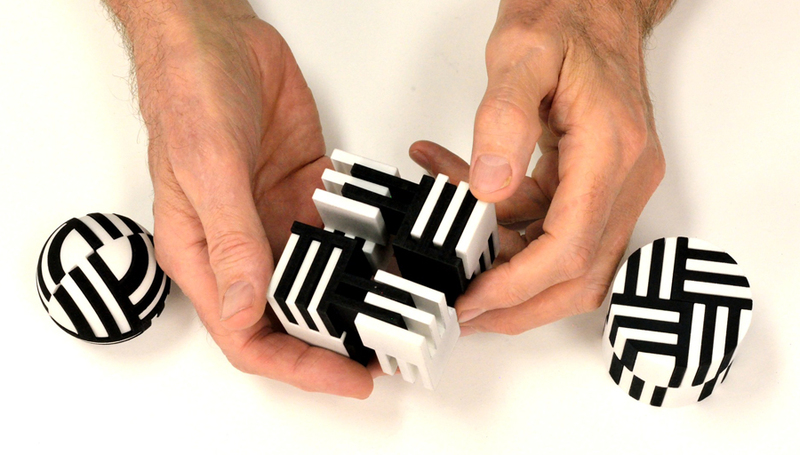 Additionally, joining black and white pieces together in a proper configuration can also create a cube. The pieces can be put together in virtually any arrangement to create a limitless array of three-dimensional structures. The pieces are scalable to any size, anywhere from microscopic sizes to large-scale industrial sizes. FIGURE 1 Shows the pieces in a variety of configurations. FIGURE 2 Shows the black and white pieces. FIGURES 3-4 Show the pieces in a variety of configurations. FIGURE 5 Shows a child playing with the product. Reviewed idea; have no interest at this time. Company does not have the resources to pursue this idea. Idea shares similar features with existing product(s). © 2016 Jacob Enterprises, Inc. All rights reserved.